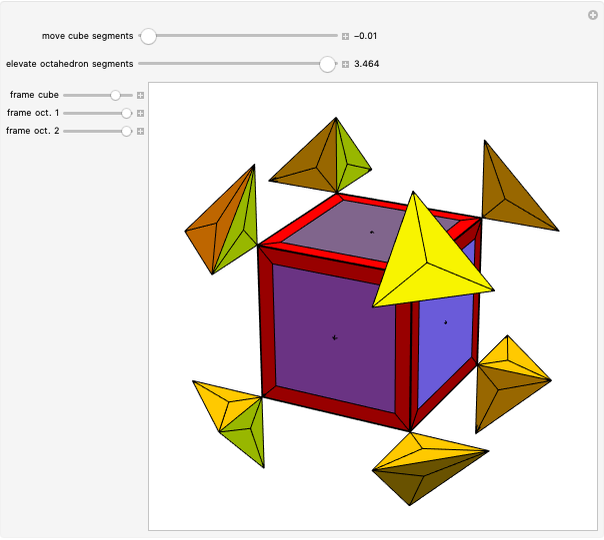 This conceptual design for a possible geometrical sculpture contains a cube, an octahedron, and some fragments. First form an octahedron after expanding the six faces of a cube. Next, interconnect the cube with eight sides of the octahedron. 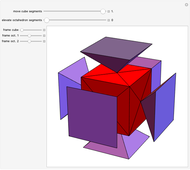 Finally, construct a central cubic frame. This arrangement is useful for exploring the relationship of the octahedron and the cube, their possible decompositions, and the duality between them. Sándor Kabai "Cube and Octahedron Sculpture"